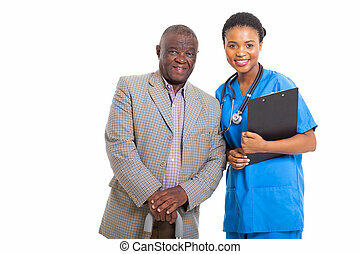 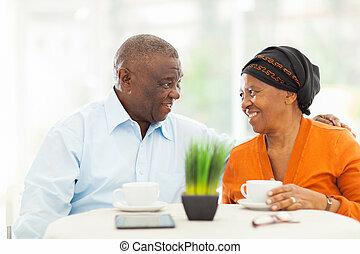 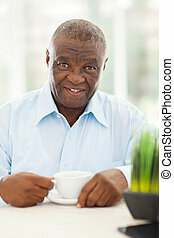 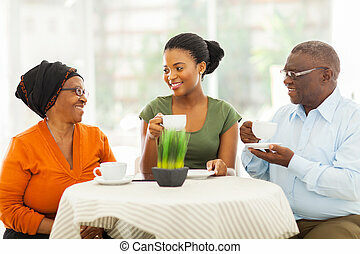 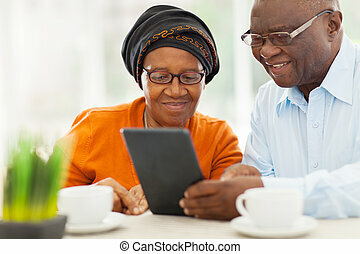 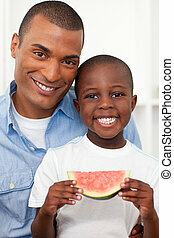 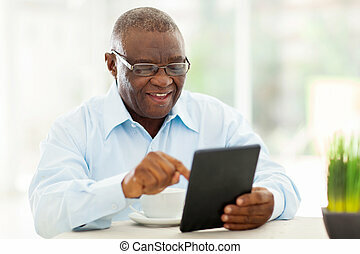 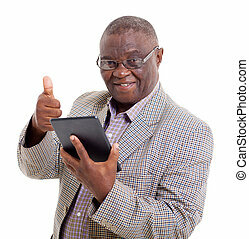 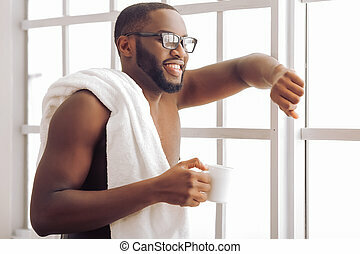 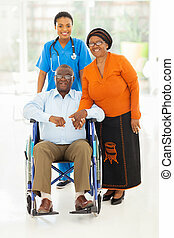 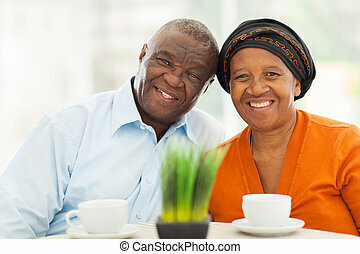 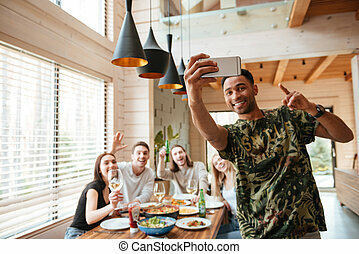 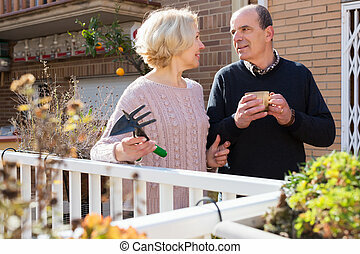 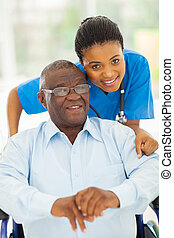 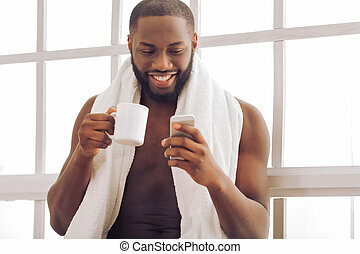 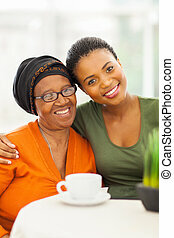 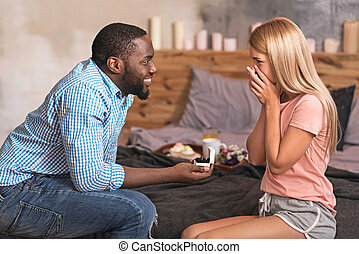 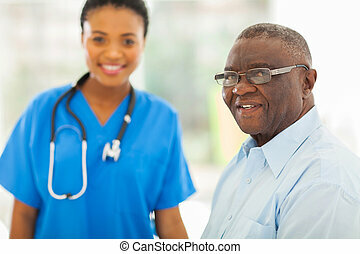 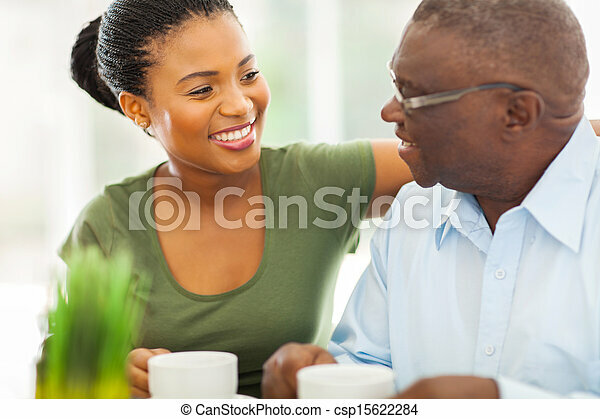 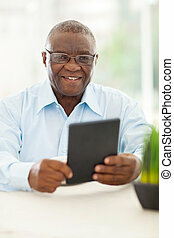 Smiling elderly african american man enjoying coffee with his granddaughteer at home. 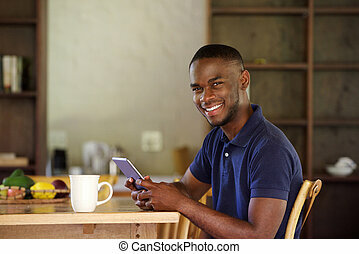 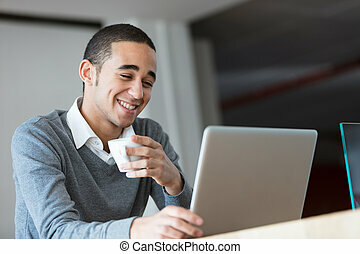 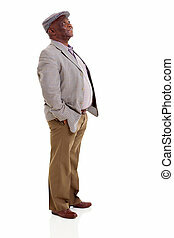 Side portrait of young african guy sitting at a table playing with his pet dog at home while working on laptop. 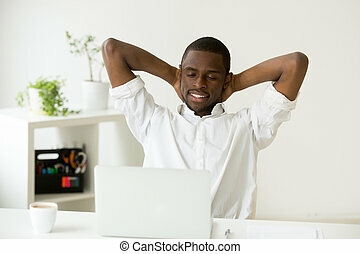 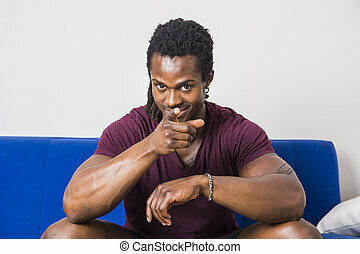 Side portrait of young african man sitting with his pet dog and pointing at laptop on table. 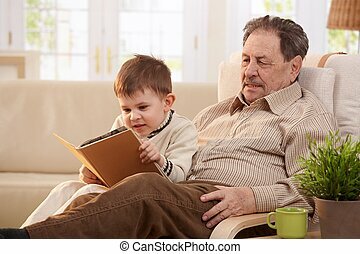 Grandfather sitting in armchair at home, holding his grandson who looking pictures in book.